What in the World is Joshua Ozersky Talking About? Food writer, editor, and Esquire blogger Joshua Ozersky claims that “fish on the U.S. Pacific coast are showing many times the acceptable level of radioactivity, to the point that many have developed tumors” because of radiation from Fukushima. Clearly Mr. Ozersky has stumbled upon a major scientific breakthrough that completely refutes the consensus of the international scientific community. Mr. Ozersky’s claims are downright false and although it would be easier for food writers if everything could be explained with a hyperbolic and totally fictional Simpsons reference, independent scientists and governmental regulators have made it clear when they say there is no health risk associated with consuming seafood from the Pacific. Mr. Ozersky is puzzled, though. He says, “for some reason, very few people are reporting” about this “enormous crisis”. Um, maybe that’s because most journalists tend to prefer reporting about real stories. He should try it. Responsible reporters consult agencies like the Food and Drug Administration (FDA) – the leading authority on food safety – before giving important nutrition recommendations to readers. If Mr. Ozersky went to either FDA or the World Health Organization (WHO), he would find multiple reports concluding that fish from the Pacific are safe to eat. Levels of radioactivity found in fish on the U.S. West Coast were roughly 300 times lower than levels that would prompt FDA to investigate further. Far below the regulated standard and nowhere near the point of “tumor development.” To put it in perspective, the levels of radioactivity found in Pacific seafood are lower than what’s found in a banana. Mr. Ozersky’s piece embraces hyperbole and misreporting, but lacks in research and facts. And while this brand of reporting may earn his blog more views, it is irresponsible to his readers, scaring them away from seafood and costing them the myriad nutritional benefits. 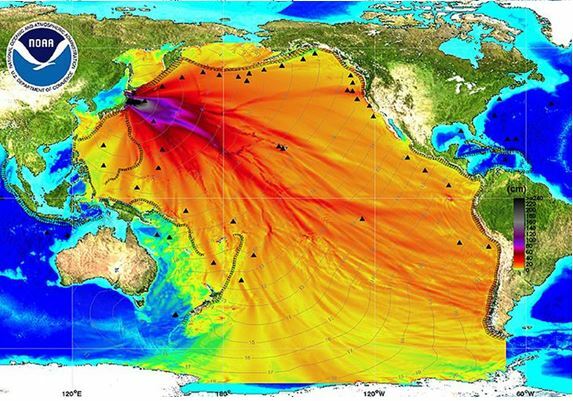 According to Energy News Dr. Daniel P. Aldrich, is the latest nuclear expert reporting on the relative risk resulting from the accident at Fukushima. Dr. Aldrich says, “fish caught off coast of America and of course near Hawaii have had high level of cesium.” That would be a new and interesting development, if it were in fact accurate. Here’s the problem, Dr. Aldrich is a doctor… but… he’s a doctor of political science. It appears his professional training provides him zero experience or background in nuclear medicine. He has however researched “the socialization of women and men through experience.” Interesting, not relevant in any way to the topic at hand, but interesting. Keep in mind, we have seen the media parade around a disgraced TV Chef and a former Soap Opera actor as Fukushima experts as well. Reporting on Dr. Aldrich’s erroneous proclamations should be followed by his full bio so consumers and scientists alike can see where his expertise lies. The Top Information Post is a digital news aggregator. Unfortunately it is not a commonsense aggregator. Here the site marginalized itself with a report titled “Fukushima is here: ‘ALL Bluefin Tuna Caught In California Are Radioactive’.” Reporters tasked with researching Fukushima and its impacts on seafood can learn a lot from this letter to the site’s editors, who apparently believe a wine consultant with a history as a Soap Opera actor is an appropriate source for radiological information.